The reason this happens is because the flash-all script that comes in the image package, which most of you are undoubtedly trying to use, is attempting to flash the .img files in the update using the 'fastboot update' method, which appears to be failing for some reason for some users. Fear not, though, there is a simple workaround, just follow these instructions. To get around the "missing system.img" error when trying to flash a factory image, you simply need to flash the .img files manually one by one. It's pretty easy. First, instead of leaving the update zip file in your working directory compressed, you need to unzip that package. Inside, there will be between four and six .img files. In addition to those files, the tgz package you initially downloaded contains the .img files for the bootloader and radio (where applicable, not all devices have this) - place those in this directory as well. Get in the command line using this as your working directory, and get your device into fastboot mode, as we discuss in this post, like you normally would when flashing a factory image. After flashing the bootloader/radio, you need to reboot the bootloader as shown below, don't skip this step! Finally, just reboot your device, and Android should start up. The vendor.img file only appears on images for the Nexus 9, because this is where the drivers are stored. 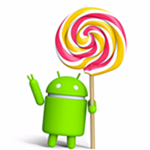 No other Nexus devices yet have this, so don't worry about it if it's not in your update's zip file. The radio and bootloader images are not strictly necessary to flash if you have already failed to update using the flash-all script method, because these files are flashed before the failure message appears and the process aborts. Still, it can't hurt to put them in there, they flash pretty quickly. Here's an example of the feedback you'll get from the command line doing the flash. Finally, a warning: this "dirty" flash may cause you to experience the missing back / recents menu bug, where upon booting your device will have no back or recent apps navigation buttons. At this time, the only solution we are aware of is wiping the device. The old fix no longer works reliably. If anyone has a workaround, let us know. Anyway, happy flashing everyone! This should get you on L pretty reliably. Update: If flashing userdata results in your device's internal storage being downgraded to 16GB according to the OS, just do a full wipe in recovery, that should fix it. This is a bug caused by the userdata.img file being distributed by Google.